This month is Virginia’s First Craft Brewery Month and, while I didn’t plan for this post to feature one of my favorite Virginia breweries, happenstance ruled that today’s SSFC, the first of August, would center on craft brews and some local eats. No matter what state you live in, take a chance this month to explore the craft breweries in your state–you never know what local beer a restaurant in your town might be pouring. Eat local, drink local! Yesterday, G & I set out for Lexington to go antiquing (of which we actually did this time, unlike last where we ended up at Rockbridge Vineyard and just stayed drinking and hanging out with newfound friends), but ended up, once again, distracted by an unanticipated drinking stop–Devils Backbone Outpost Brewery. Located right next to a fantastic antique warehouse, Duke’s Antiques, the Devils Backbone Outpost Brewery just opened in March and neither of us had a clue until yesterday that it existed. We knew, of course, that the main brewery is located in Roseland, but were really surprised to pass right by it on the way to the two antique stores we were scoping out. 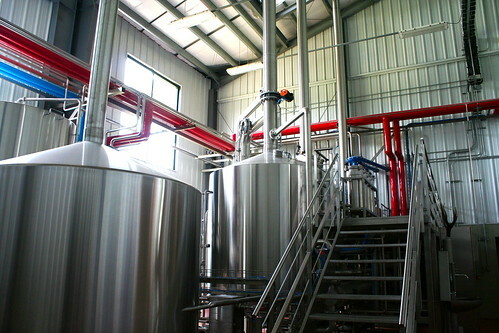 Turns out that it’s open Tuesday through Sunday from noon-6 pm and we drove up just in time for a tour of the brewery. I haven’t toured many breweries, actually, so I always enjoy getting to see the process, the large stainless fermentation vats and all. They don’t brew or bottle on the weekend, so there wasn’t any action to see, but I can definitely see how the added space will help up their production quite a lot. After the tour, of course, a tasting was in store and since there are two of us it was a no-brainer to order a full flight of the brews on tap. 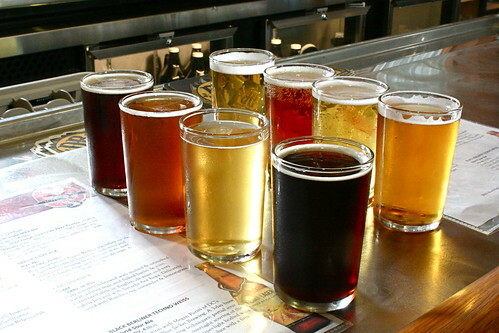 In the tasting room, you can order 1 flight of four brews (half of the beers on tap) for $5 or a pint of any on tap. The brewery serves a range from the standard Vienna Lager (which I often order at restaurants here in Roanoke) to the more complex Azreal (a Belgian-inspired golden ale) and the Black Berliner Techno Weiss (a sour, dark wheat beer). My favorites included the Rye Ale and the English Ale, both of which I felt were nicely balanced and mellow. Surprisingly, the Eight Point IPA topped my favorites too, and I’m not a hop-lover! Something about the mix of all the different hops created a nice, mellow spiced hop taste. After the beers and a little more antique browsing, we headed into downtown Lexington for a burger at Pure Eats. The reviews of the restaurant on Yelp were really mixed, but I figured you couldn’t go wrong with locally-sourced beef and in-house donuts. 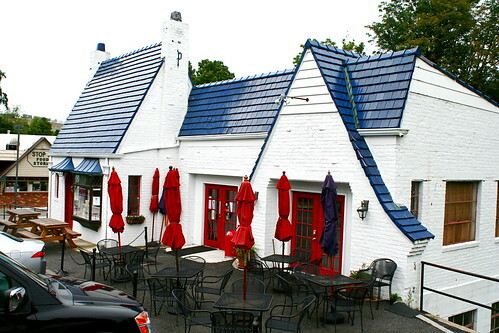 Plus it’s an old Pure gas station which is totally adorable, so what’s not to love? I ordered a simple cheeseburger with pickles, tomato, and bacon and, while not bad, I was a little underwhelmed by the burger. The meat itself was delicious–distinctly beefy with a nice char–but overcooked (my patty was medium well at best). Another disappointment was the tomato. I figured it’d be safe to order a tomato in the height of tomato season and from a restaurant that’s interested in sourcing locally, but my tomato was so under-ripe, I just took it off after one bite. Overall, a good tasting burger, but one that could have been cooked better. 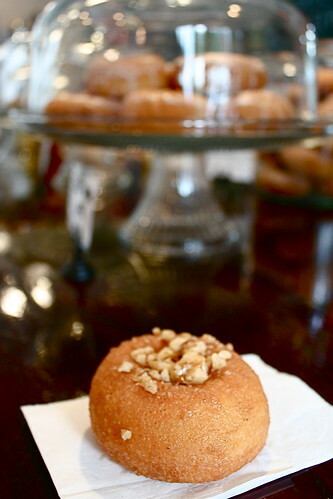 Seems like our trips out to Lexington always involve unexpected delicious twists, and what a treat to discover a closer outpost of Devils Backbone as well as a tiny restaurant serving local burgers and fresh-baked cake doughnuts! 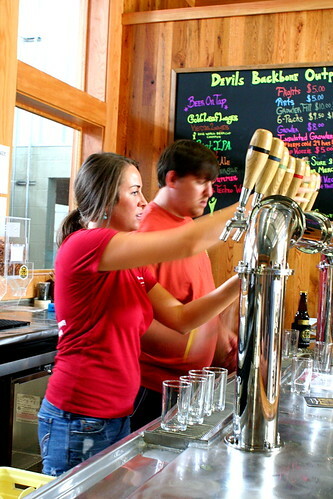 While the burger wasn’t perfect, it’s a restaurant worth stopping at if you’re in the area and, if you’re a beer lover, the new Devils Backbone brewery is a great craft brew destination. I don’t even drink and this still looks like fun! I’d secretly be in it just for the doughnuts at the end though. Good, handmade doughnuts are becoming increasingly and woefully hard to come by. Mmm, craft beer! I would be all over that one. This makes me super glad I’ve already got plans to have burgers at our local biergarten tomorrow night! What a fun time! We were actually in Roseland in May for a mini-vacation, and did the “Brew Ridge Trail.” Stopped at Devil’s Backbone after an awesome hike, but found that we really liked Wild Wolf Brewery the best. I’ve been wanting to check out Wild Wolf for awhile now–definitely moving it higher up on my list! looks like so much fun! and wow that donut looks bomb! 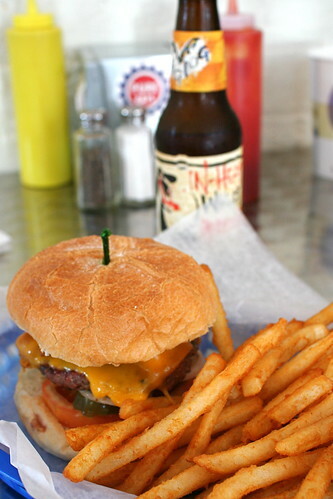 Ah, these are the things I miss about the USA: breweries and burgers. Yes we have both here in the UK, but it’s just not the same. Love the craft beer scene in the States. Aww, thanks Rebecca! I feel like I never get out enough/review enough We should plan a get-out-and-explore date soon! Yes, exploring would be fun! And here’s a new one for your list I just noticed during my never ending drives to Layla’s dance school in Salem – El Cubanita…looked kind of fun. It looks like you both had a great day out. I grew up in a small town in WI that brewed beer. Unfortunately it would sold out to a large well-known brewing company, but it was fun to our the place and have samples. Good memories. nice choice for a daytrip… and if you’re ever in Montreal you have to try the Au Dieu du Ciel tasters option – it’s like 14$ for a small glass of nearly every kind they have on tap at a given time (10-12 varieties!). mmm, THIS is how beer should be appreciated.